Canadian corporations are taxed differently than other forms of business. The most obvious tax change is that a corporation is a legal entity in itself and is taxed separately from the individual. (That's why, as a business owner, you must file both T1 (personal) and T2 (corporate) income tax forms.) But tax-wise, there are also different types of corporations, and the type of corporation determines whether or not the corporation is entitled to certain rates and deductions. When you're creating a corporation in Canada, you want to form the type of corporation that's most advantageous to you tax-wise if you can. Below are the different types of corporations available in Canada and the conditions that must be met to form each type. no class of its shares of capital stock is listed on a designated stock exchange, for example, the Toronto Stock Exchange (TSE). Note that changes in share ownership can potentially cause the corporation to cease to be a CCPC. For example, if some shareholders became non-residents (or shares were sold to non-residents) so that non-residents controlled more than 50% of the voting rights of the shares, the corporation would no longer qualify to be a CCPC. From a tax standpoint, the CCPC is the most advantageous form of small business ownership. In addition to the small business tax deduction, there are enhanced investment tax credits, capital gains exemptions for shareholders on the sale of shares, and research and development tax credits for qualifying activities. See: Corporate Tax Advantages of the Canadian-Controlled Private Corporation. it is not controlled by any combination of corporations described in the two previous conditions. A public corporation is basically defined by having a class of shares listed on a designated Canadian stock exchange, although it may also elect to be or be designated as a public corporation under Regulation 4800(1). This type of corporation is a Canadian subsidiary of the public corporation above. As you guessed, the type of corporation that doesn't fit into any of the other categories. 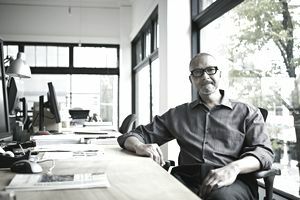 The corporation is the most popular form of business structure in Canada, which isn't surprising when you consider the increased liability protection a corporation provides over a sole proprietorship. But all Canadian corporations are not created equal when it comes to taxation. When you choose to structure your small business as a corporation in Canada, it's worth seeing if you can set it up as a Canadian-controlled private corporation because of the corporate tax advantages the Canadian-controlled private corporation enjoys. Personal Services Corporation - A Canadian Tax Calamity?